There is a method to make Lara slide on a flat plane surface and it is rather easy to accomplish. You need 2 rooms, the bottom room having 4-click slopes and another room above with bridge flat objects placed at floor level. 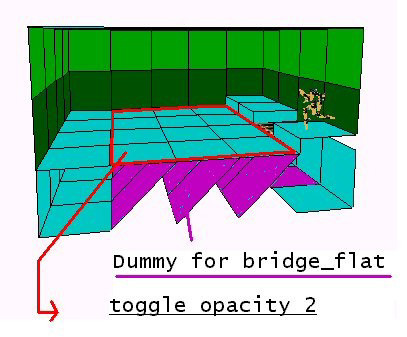 Apply dummy for bridge flat triggers on the slopes under the bridge_flat objects. The 2 rooms must be connected with a Toggle Opacity 2.